Wearable pieces of tech are motivational and fun, but there are issues of accuracy and privacy that we’d rather ignore. Writing is ultimately a desk job. Unless we install a treadmill in front of a stand-up desk, the only real movement we do on the job is slouching off downstairs to make tea or fetch a biscuit. Freelancers have an advantage: We can just decide to go for a run halfway through the morning if we feel like it. While writing full-time in a ‘real’ job these last few months, in an actual office with air-conditioning, it wasn’t so easy to maintain any kind of fitness routine. I walked to the job from the train station and I wandered around the town at lunch time, but did that make up for the general sedentary nature of the work? To see what my new work pattern was doing to my body, I bought a Fitbit. A Charge 2 to be exact. And I love it! 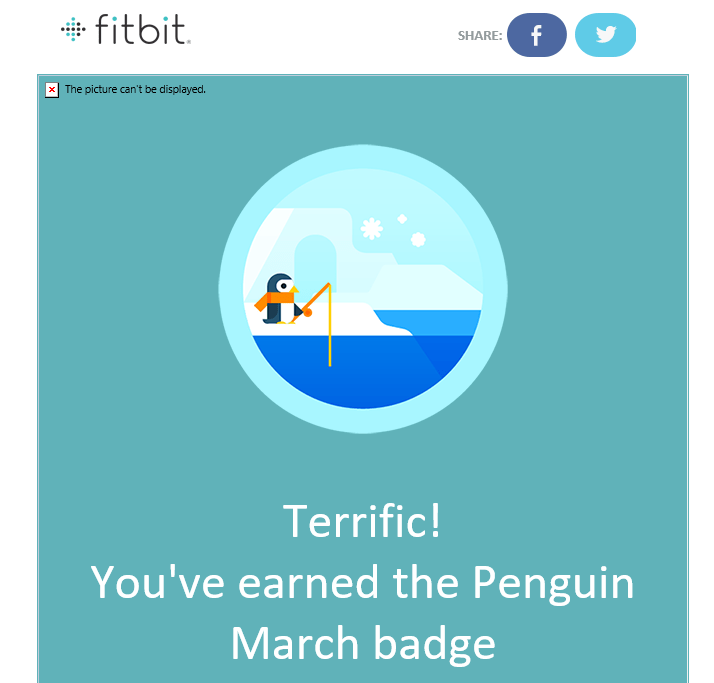 The app sends you cool motivation ‘badges’ when you’ve achieved something significant, such as walking a certain number of miles. You can track your calorie intake and compare it to how many calories you’ve burnt, so you can see if you need to change your eating or movement habits. It’s a connected GPS tracker, a heart rate monitor, and a watch, and you can set it to send you notifications from your phone, or buzz you hourly to make sure you get up and move. It records any exercise you’ve done, any stairs you’ve climbed, and the number of steps you’ve taken each day. You can use it to record your weight and keep a food diary. It also apparently monitors your sleep patterns. For the first week, it was the best toy I’ve ever had. It was the sleep stage monitoring that made me suspicious. I’ve taught Psychology for many years, and I know that sleep studies are usually conducted with an electroencephalogram (EEG). As the Charge 2 is a wrist device which is clearly designed to take your pulse rate rather than monitor the electrical activity in your brain, I couldn’t see how it could possibly be accurate. In fact, it soon registered that I’d taken an afternoon nap while I’d actually been reading a book. On a Charge 2, the GPS tracking only works when it’s synced to a GPS-enabled mobile device. I once forgot to bring my phone along on a run, and my Fitbit recorded that I had run three miles when I had in fact only covered two miles. I think it gave an estimate of distance covered based on my age and gender. It obviously didn’t register how slow I really am! I can’t assess the accuracy of the built-in GPS Fitbits, such as Surge, as I have no personal experience of them, but why does accuracy matter so much anyway? Recently, data from a Fitbit pedometer was used as evidence in a murder trial in Connecticut. The data contradicts the timeline of events given by defendant Richard Dabate, who is accused of murdering his wife Connie. If the data from technology wearables is going to be used as court evidence, then the accuracy of that data becomes a very important issue. Meanwhile, a lawsuit was brought against Fitbit last year, accusing the company of using ‘highly inaccurate’ heart rate monitoring technology in the Surge and Charge HR. However, other studies have found these devices to be ‘highly accurate’. I think that ultimately it’s unreasonable to expect a wrist device to be capable of extreme accuracy when monitoring heart rate. After all, consumer wearables are not designed to be medical equipment. Not yet, anyway. This allows the possibility of our data being sold or transferred on to third party entities at some point in the future. Fitbit also states that it may ‘share or sell aggregated, de-identified data that does not identify you with partners and the public in a variety of ways, such as by providing research or reports about health and fitness or in services provided under our Premium membership.’ Data sharing can run foul of the law; just ask the Royal Free Hospital about its data deal with Google’s DeepMind. Cool Stuff Is the Best! Will this make me take off my tech wearable? No, I love it far too much. And maybe that’s a feature of our current relationship with data and technology. As long as we feel that the exchange is equitable, we don’t mind exchanging private information for cool stuff. Perhaps we will eventually move to a point where we value our own information enough to sell it ourselves. But we’re not there yet. Posted on July 8, 2017 July 9, 2017 Categories health, technologyTags Fitbit, fitness, privacyLeave a comment on Your Fitbit: Friend or Foe?